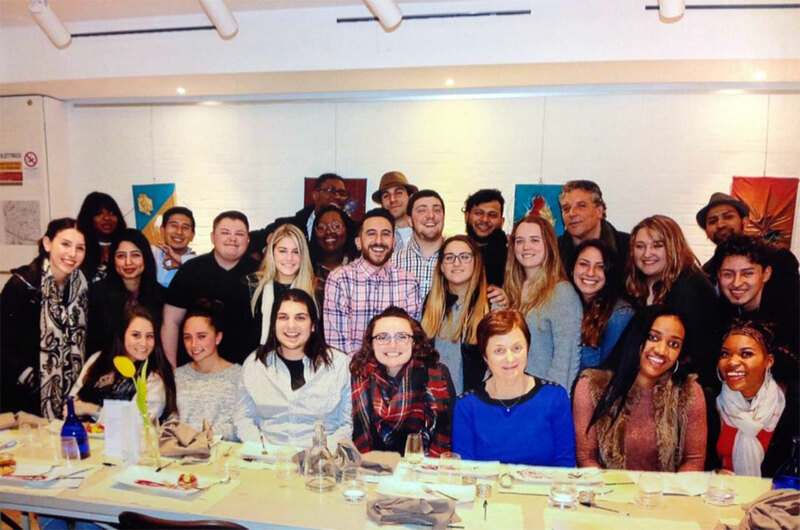 During the spring semester of 2018, we joined our two classes to offer an interdisciplinary learning experience to students at Farmingdale State College. The idea was to blend Machiavelli and Michelangelo, Garibaldi and Giotto, Cavour and Caravaggio, the Borgias and Botticelli, the Medici and Masaccio. 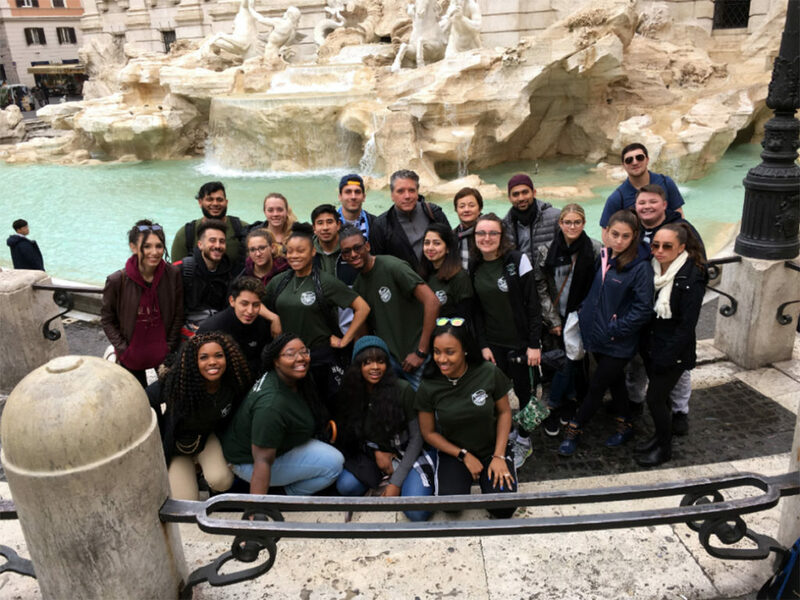 The highlight of this powerful applied learning experience was a ten-day exploration of Italy during the 2018 spring break. Farmingdale is a SUNY college of applied science and technology. Most of the 9,500 undergraduate students are commuters who miss out on the community-building experience that comes more easily for residential students. Moreover, our students—like most students these days—are career-oriented and concentrate on such majors as bioscience, electrical engineering, and business. Many students do not fully embrace the ideals of a liberal arts education nor appreciate interdisciplinary exploration through collaborative learning, critical thinking, and hands-on applied learning. 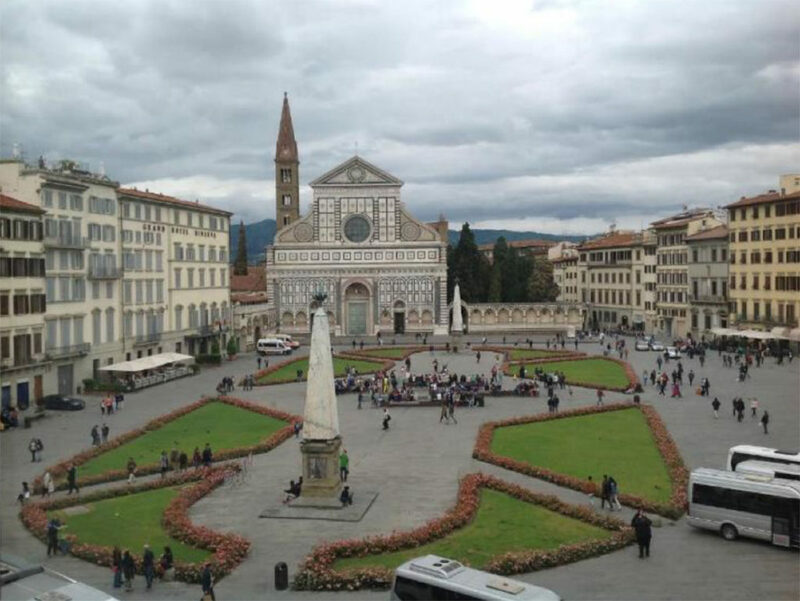 The adventure of study abroad, however, can entice even the most narrowly-focused students to see things differently and to have the type of powerful liberal arts experience that transforms them into interdisciplinary thinkers (even if they don’t appreciate such lofty goals when signing up for a chance to go to Italy!). A total of 25 students registered for our courses. Nine students elected to enroll in both courses. The two courses met back-to-back on Fridays during the semester. Each course met for 2 1⁄2 hours each Friday while on campus. While in Italy, our students had a taste of a residential college experience by rooming together in hotels in Rome and Florence. They also formed friendships and bonds by touring together. But, most importantly, they engaged in powerful hands-on learning experiences that their instructors designed. Both instructors are Italian experts and speak Italian. We have lived, traveled, and worked in Italy off and on for many years. With that background, we designed a truly interdisciplinary exploration of Italy. Throughout our ten days in Italy our students kept journals and pieced together what they saw and learned through discussion, problem-solving, and critical thinking. By transporting them into a new country, we transformed their ways of seeing and learning. Study abroad—even if only for 10 days—can be a powerful liberal arts experience. When thrust into another society and immersed in another culture (especially a non-English-speaking culture), our students are challenged to see things differently and to encounter ideas, experiences, and perspectives that are outside their normal worldview. Such challenges are a fundamental part of what a university education is all about.